Follow these basic tasks that will help you on your path for a better research paper. Library vs. Google or Wikipedia? Click on the tabs above to get started. This guide will help you with the basics of research that you will use in your college classes and in life. It will start with your idea or your interest in a subject or one suggested by your instructor. Know the requirements of your paper. Check for background information on your topic. Narrow to a research question. Choose the best tools for your research. Research, Read, Research, Write, Evaluate and Cite. Each tab will include information on that part of the research process with a video and activity. Good Luck in your research! 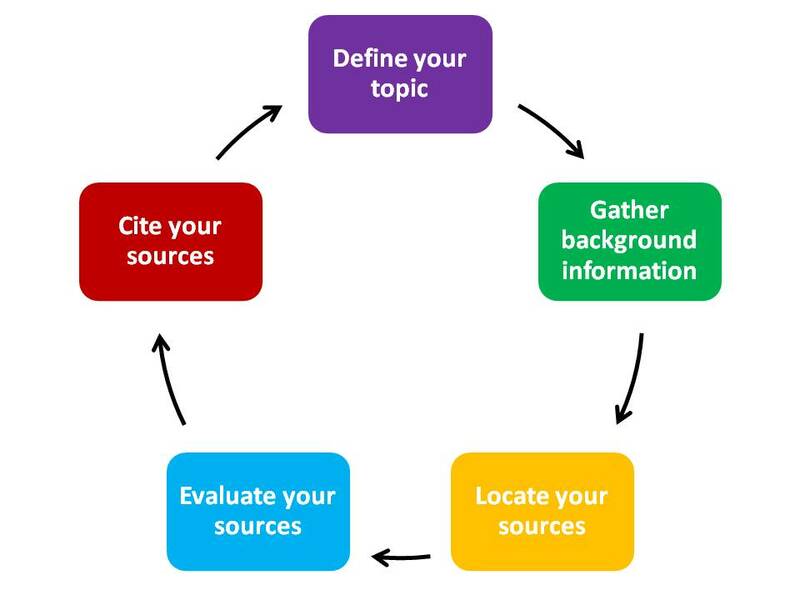 Five steps for writing a research paper!